How do you “detect” what your horse needs to work on? I often get told by my coach to warm up my horse and see how it feels and tell her after what it is my horse needs to work on. But I don’t exactly know what I’m supposed to feel or see? I know it changes from horse to horse, but I just don’t know what I’m supposed to be looking for. This is a great question. 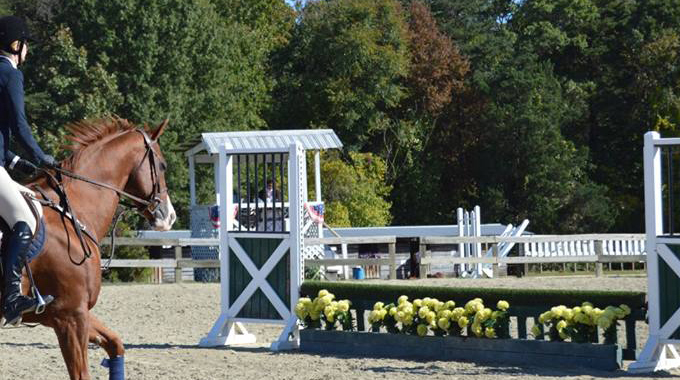 Most coaches, myself included, suggest to their riders that they start out by “getting a gauge of their horse” each ride during their warmup or when riding on their own. I’ve sometimes wondered if less experienced riders were left a bit confused by this advice. I believe there are two aspects to riding horses, regardless of discipline. The first I will refer to here as the PHYSICAL part. This involves sitting on the horse in such a way that the rider is secure and in balance with the horse for whatever sort of activity that they intend to do. This position can vary greatly between disciplines. The best position (and saddle used to help achieve it) will be totally different for the dressage competitor and the jockey on the racetrack, for one extreme example. 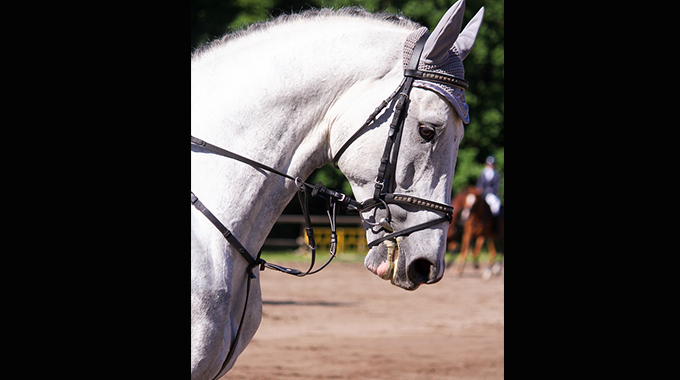 Since we use parts of our body, our legs and seat, for both security and as aids with which to communicate what we want to our horse do, body control is essential. 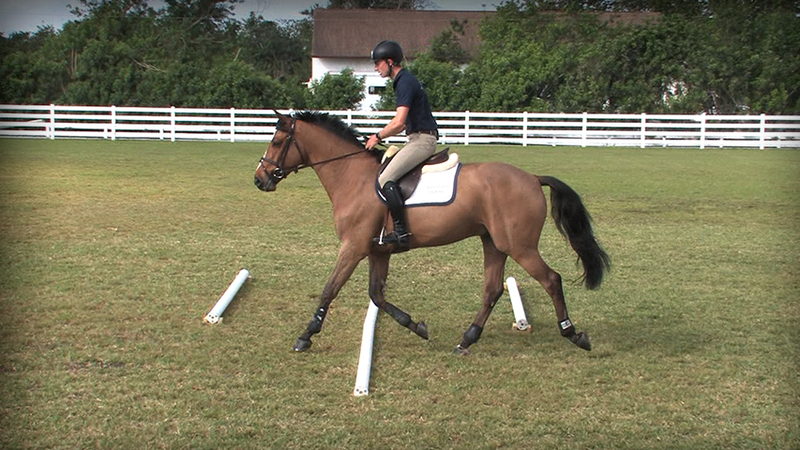 Our upper body and balance on a moving animal depend on a secure base and control of the lower leg. 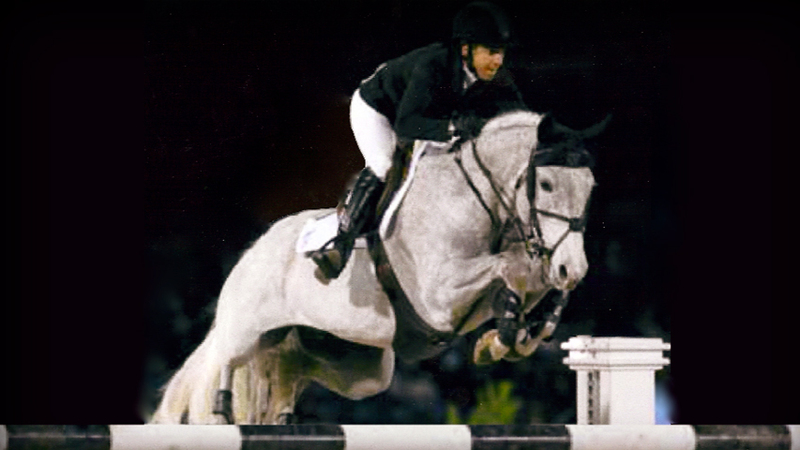 A rider with tenuous balance will tend to use the reins for support when the hands and arms must be independent before they can be utilized for communication. The physical part of riding comes easily to some (small children in particular) and with greater difficulty to others. Coordination of the aids can feel like one’s early attempts at driving a car with a manual transmission. Until it is feeling natural, it is far easier to learn with a simple model in a safe setting rather than with a high horsepower sports car in busy traffic! 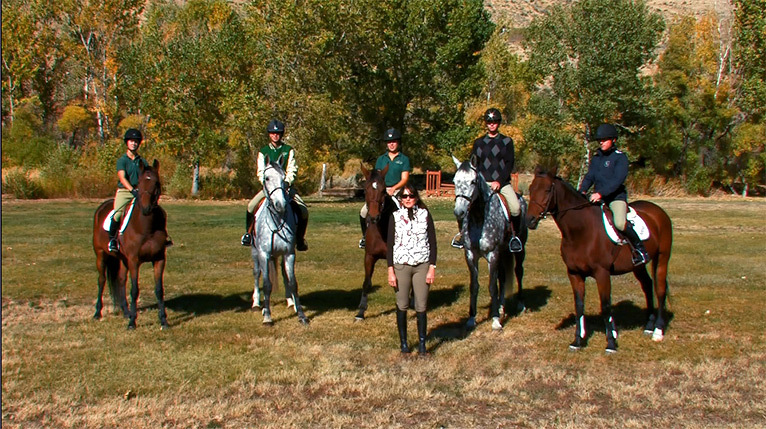 As a rider gets comfortable with their own security, balance, and control, they can focus more and more on the part of the equestrian sport that makes it truly unique—melding the different abilities of a rider and a horse. This is the MENTAL part of the sport. With the strength, power, and athleticism of the animal, directed by the mental and technical skills of an experienced horseman, amazing things can be accomplished by the pair. The difference between equestrian sports and others such as tennis, golf, skiing, or white water kayaking is that your “equipment” is a living thing. Horses have personality, moods, past experiences, things that come easy to them and things that are much harder. An older athlete might be dealing with some aches and pains—another might be experiencing serious discomfort in some part of their body. The rider must learn to understand their partner by becoming aware of what the horse is telling them. As you travel the path from passenger to effective rider to true horseman, riding will become a continuous conversation between you and your mount. 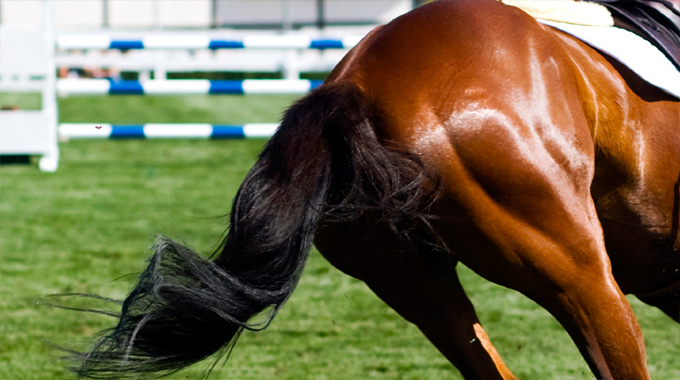 Just as humans vary in their general temperament and often have unique quirks, so do horses. Just as your own outlook can vary from enthusiastic and fully focused, to a touch low or completely distracted, depending on the day, so will the horse you’re riding. By the simple act of noticing the little things, you will begin to develop what horsepeople call “feel.” When you lead your horse out to get on, or ask him to walk forward once you’ve mounted, does he respond with reluctance or eagerness? 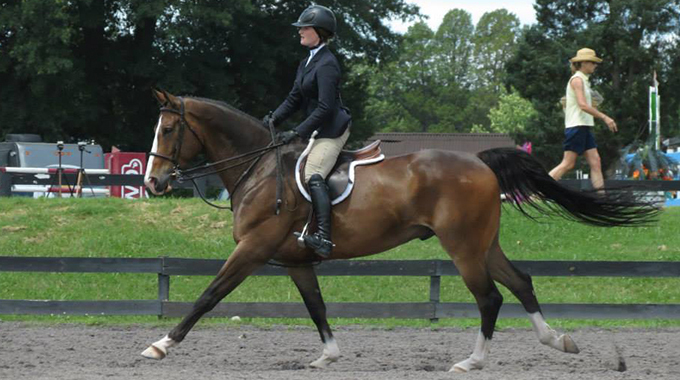 How much pressure with your right leg does it take for your horse to move his hindquarters to the left? When you close your fingers for a downward transition, is there a long delay before anything happens or is your horse already planted like a tree, with your balance fallen up on his neck? Are your horse’s footfalls even and regular or is there a difference between how he moves when you circle in different directions? As you become aware of these little things you are learning about your horse. The simple act of noticing what is easy and what is harder will tell you where your partnership needs some improvement. If you focus a little more on how your aids are being heard by your horse—and learn to adjust them accordingly—you will be amazed at how much more you can accomplish and how much more fun your rides will become—for both of you!